Much has been said about the dangers of distracted driving; even a few seconds of distraction can increase the chances of a St. Louis car crash. Even after hearing the horrible stories of fatalities caused by distracted driving, people still do not abstain from using their cell phones or other electronic gadgets while driving. As if texting and tweeting were not enough to distract drivers, another type of craze has people’s attention and they will indulge in this distraction without thinking of safety. Yes, we are talking about the selfie-mania. You have probably seen people taking their selfies in restaurants and shopping malls; but people are taking selfies even while driving. This is a huge distraction and can cause serious automobile accidents. Last year, a bride-to-be was killed in an accident while she was on her way to attend her bridal shower. Upon investigation it was found that the woman had taken a selfie the moment the accident occurred. This latest distraction has put the lives of many drivers and passengers at risk. Cell phones with both camera and internet connection have become extremely common. This gives people the ability to take a selfie and upload it instantly even when they are driving. The dangers associated with this kind of distracted driving are obvious. A CNN report shows that an alarming number of selfies that are uploaded to social media accounts are taken while driving. The selfie craze is not limited to automobile drivers only. People riding motorcycles or piloting boats have also been seen taking selfies. Why Is This Behavior Dangerous? Distracted driving is common and the fastest growing factor leading up to car wrecks that involve serious injury. Distracted driving involves any activity that diverts a person’s attention away from the primary task of driving. All types of distracted driving can endanger lives. It is estimated that 10% of drivers between the ages of 15 to 19 that were involved in fatal crashes were distracted at the time of the accident. When a person is texting while driving, they take their eyes off of the road for approximately 5 seconds. If traveling at 55mph, those 5 seconds are the equivalent of driving the length of a football field without looking up. When taking a selfie, a driver has to take one hand off the steering wheel for several seconds. 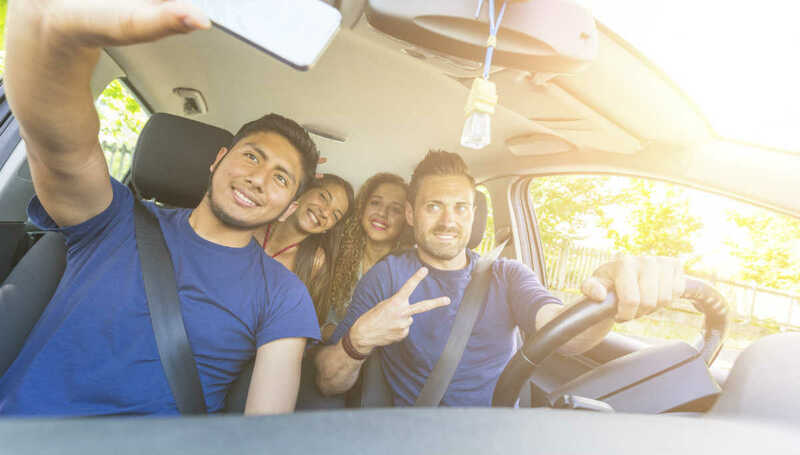 The act of taking a selfie diverts a driver’s attention off the road for a few seconds and even minutes and this is enough to cause a serious accident. If a driver decides to upload the picture instantly, it adds another few seconds of distraction. If you or someone close to you has been injured in an accident caused by a distracted driver, contact The Hoffmann Law Firm, L.L.C. and speak with our St. Louis auto accident attorney. Call us at (314) 361-4242 to schedule a free consultation.